Our luxurious swimming pool with massage jets, counter current and light effects with views over Lake Buetgenbach, is open daily from 09.00 to 19.00. The water temperature is 31°C, the water depth 1,30 m. Here you can relax after an active day. 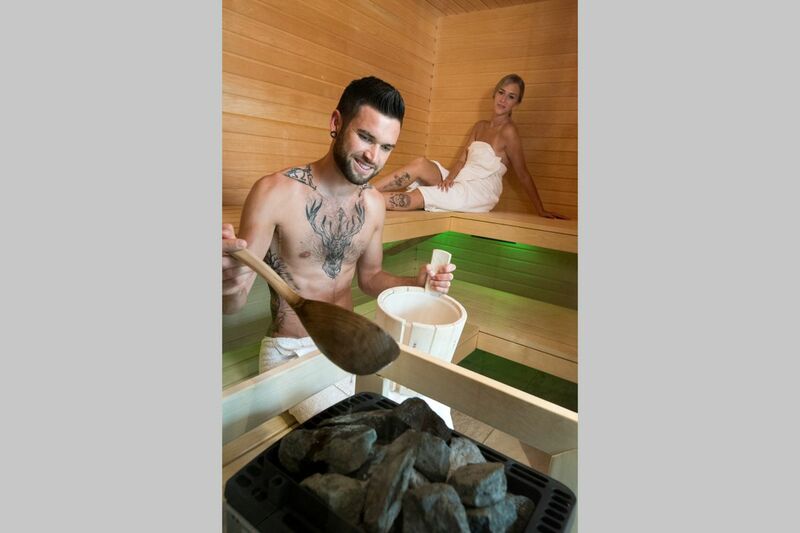 Our wellness area with Finnish sauna (100°C) and infrared cabin (50°C) are available daily for your well-being from 09.00 to 19.00. Treat yourself to a little respite from the stress of everyday life. After 19:00 of the spa and the swimming pool can be booked for private use. Please check with our front desk.